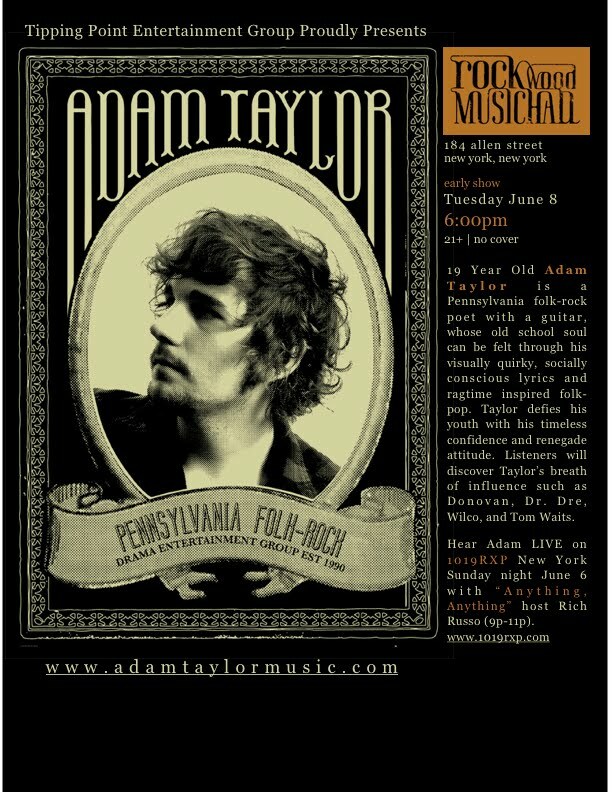 Delightful folk-rock singer/song-writer Adam Taylor will be gracing the Rockwood Music Hall stage this coming Tuesday, June 8. I love this young man's work. He has old school charm and showmanship and he's insightful without being pretentious. 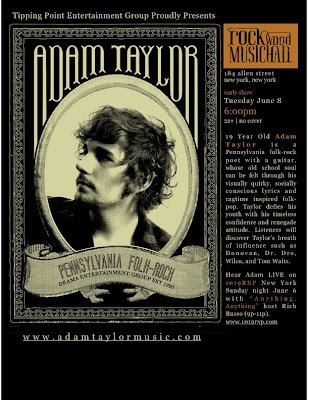 I highly recommend checking out this show. There's no cover so you can't say you're too broke to afford it! It's also an early show, 6:00 PM, so you can't bag off because, "I have to be up early the next morning." So, no excuses!